Can you recognize the country and capital in the picture above? 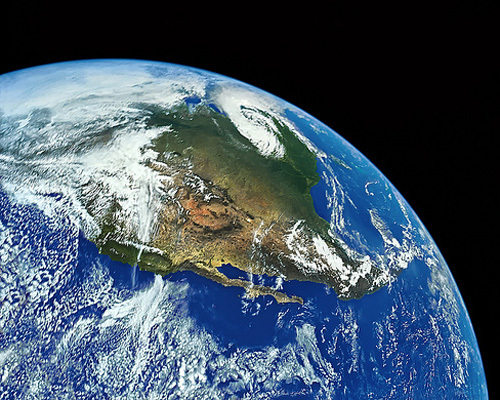 If you have been playing around with Natural Earth vector and raster map data, which is a great free geographical resource, chances are this large area of the earth will not be clearly defined. To be fair, the name of this self-declared de facto sovereign state is included in Natural Earth data, but when we convert the shapefiles to GeoJSON or TopoJSON, that name is rarely included. It could be included, but it makes sense to leverage some standards when doing a mapping between names and areas, and the unrecognized state of this country results in no corresponding ISO code. 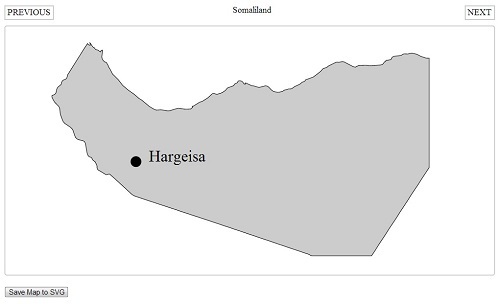 As a result, most D3.js geo examples will have this area undefined or will show a -99 identification. 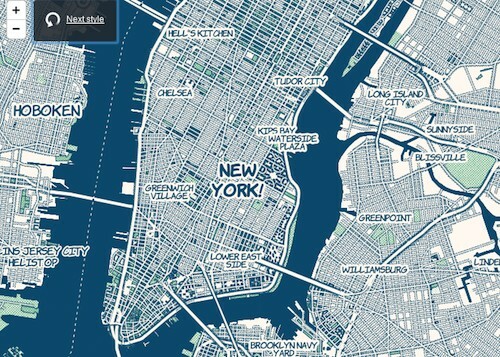 MapBox is amazing. 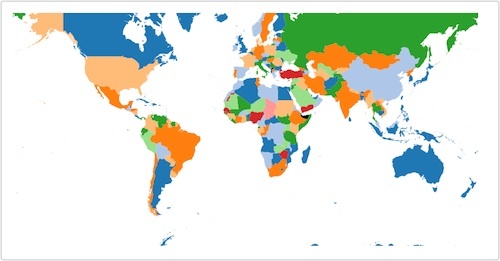 I love looking around at all their tile maps, examples, and browsing through various geographical data visualizations. I also like how their solutions works, their API, and other things like TileMill and Wax, so this post is going to explore some interesting vector tiles from MapBox and various interesting maps. Let’s start with a quick demo I put together that explores various MapBox tiles. All of them show New Your City but you can zoom out to explore how these tiles and maps look on a world level. If you open up the console and look at the network tab, you can see a JSON file being retrieved for each of these tile sets. The comic looking map (examples.bc17bb2a), for example, loads the following JSON file. It gives you some information about the tile set like the URLs for tiles that you could use to load these tiles in other slippy maps like LeafLet or OpenLayers. Last time, I showed how to make screenshots of videos with HTML5 and now I will take that concept further by showing how to make animated GIFs from videos. You could send video frames to the server and use something like FFmpeg or ImageMagick to create the animated GIF but since I have recently stumbled upon this port of as3gif GIFPlayer to JS, I wanted to make this work completely on the client side. I will try to improve some processing with Web Workers but this will still be very CPU intensive. Below I talk about how FileReader is used to read the user selected video but reading an entire video into memory is a bad idea and will not work with large videos. The updated links skip this step and construct a blob Url right away, and as a result, stream the video so that it can be used right away and you can load large files. A while ago I have written about making screenshots with YouTube videos but today I want to approach this problem from another angle. The YouTube post mostly talked about the problems of pulling videos from YouTube and saving the video data from CANVAS to an image. Doing that purely on the client side is not easy, but today I want to leverage HTML5 Video, FileReader, Blob Urls, and CANVAS to show how to load local video files (perhaps ones you already downloaded from YouTube with various other solutions), slow down the video playback, and convert those video frames into an actual image so that you can make video screenshots with your browser. Here is the updated version, the new D3 World Map Template. I was doing some API work with time zones recently and was surprised not to find a D3 time zone map implementation. After some browsing, I did find a OpenLayers and Gmaps time zone map implementation but it does not use GeoJSON. 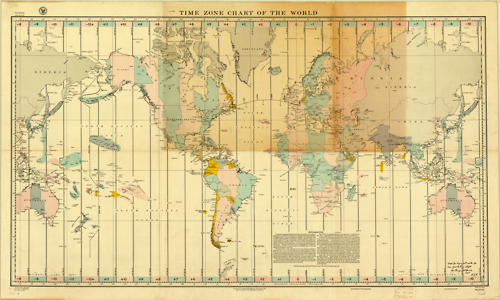 I found a KML file of time zones here and decided to quickly put together a D3.js time zone world map using TopoJSON. 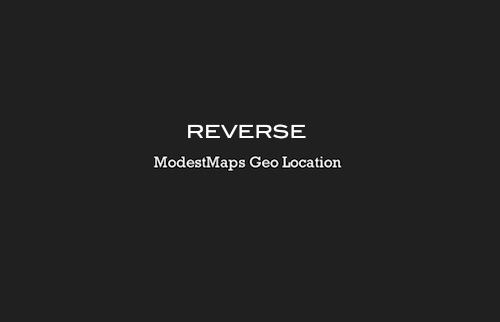 I have previously shown how to do reverse geocoding with MaxMind and now I want to show how to leverage a geocoding web service to visualize locations on a map. I have already done a ModestMaps with API calls and markers example in the past so I can leverage that to create this demo. Instead of using Google Maps Geocoding, I am going to use GeoNames Web Services and render the results on a ModestMap for comparison with MapBox image tiles. D3.js comes with a lot of geographical projections and there are many cool demos that let you explore different ways of visualizing a map of our earth. I really like the orthographic projection as it gives you a perspective (or azimuthal) projection where earth is a sphere or globe as it appears from outer space. 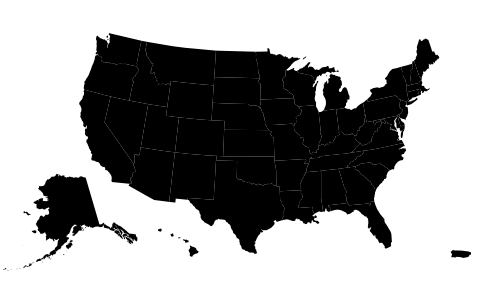 D3 already has some great examples of this projection, and I have also made my own basic D3 Globe with very little code. But today, I want to expand on this concept and try to incorporate an image of the earth into the globe projection to create a more realistic view of earth. First, I will attempt to make this happen with just HTML5 Canvas and then I will explore other technologies like WebGL and Three.js to make the globe more responsive.